These presentation slides 41246 are complete compatible with Google Slides. Simple download PPTX and open the template in Google Slides. 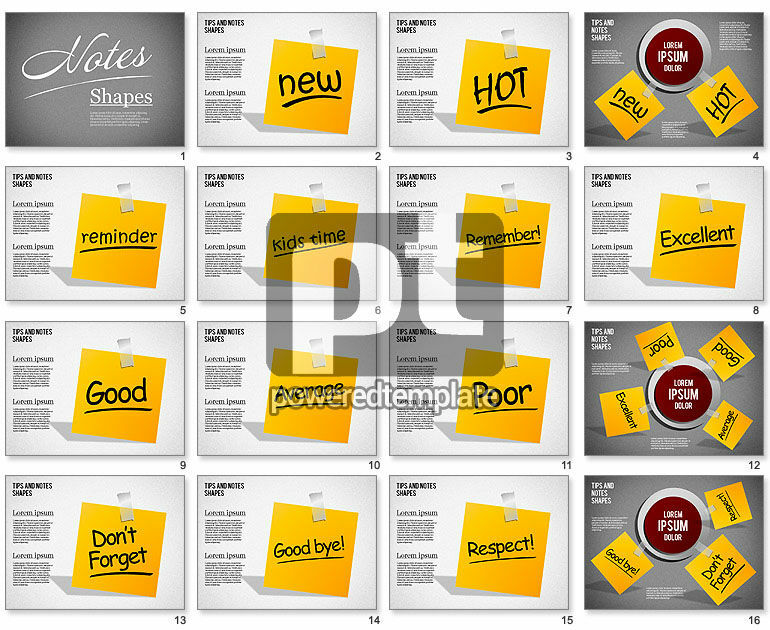 This glamorous Post-it Notes template will suit perfectly for your presentations dedicated to brainstorming, to do lists, team plans, effective teamwork, options, progress, step by step actions, leadership and so on. It shows sticky notes with different words as the main detail of its design and if you’re going to make a presentation about workflow, planning, this theme is exactly what you need.